The law office of McGillen Keay Cooper, located in the heart of Peterborough, Ontario, serves communities as distant as Omemee, Haliburton, Bancroft, and Orono. Our firm focuses on real estate and business law, ensuring the smooth sale or purchase of residential homes and commercial properties, with corporate lawyers managing contract law, shareholder agreements, and the registration of sole proprietor or incorporated businesses. The firm also provides lawyers experienced in family and divorce law, wills and estates, personal injury litigation, and criminal law. Our friendly Peterborough lawyers help clients with everything from simple Land Transfer Tax calculations to pre-nuptial and divorce agreements. Our law firm has been practicing in the area since 1974, with a long history of offering practical and inexpensive legal advice. We invite you to benefit from our litigation experience and familiarity with the community we serve. For many people, buying a home will be the biggest transaction of their life, and the largest amount of money to which they will put their name. It will also be a transaction defining the core of where your family lives, works, and plays. Our experienced property lawyers will ensure that deals close — with the correct land transfer taxes calculated and paid — while protecting your rights. 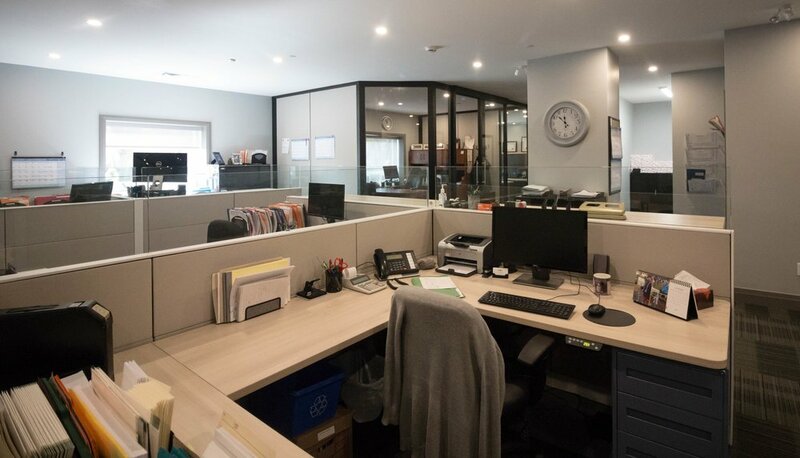 Our friendly and efficient legal staff will ensure that you are comfortable and confident that you are enjoying the best practices of real estate law. Ideally, talk to one of our property lawyers before you enter a deal: we can steer you away from costly land use mistakes and legal pitfalls, and toward the safest and most inexpensive real estate deals. Next time you are buying or selling your home, farm, or cottage, let us save you time, lower your stress and legal liabilities, and save you money. If you are a real estate developer or property investor, you’ve come to the right place. We are a full service corporate law firm, able to register the companies, form the legal vehicles, and incorporate the holding companies you’ll need to manage risk and minimize taxes. You can trust our business lawyers to provide you with the best corporate counsel, defined by due diligence, proactive legal advice, and a smooth path through all red tape. Dealing with family law is a difficult time. There are many complex issues, such as custody, spousal support, child support, matrimonial property, and dividing pensions; all of which our divorce lawyers can help you navigate. You have to protect your legal rights to what you’ve built, while also protecting your children and your future together. A prenuptial or cohabitation agreement can be a wise precaution going into a relationship, but a carefully written separation agreement can be equally wise coming out: the best lawyers always hope for the best, but plan for the worst. Our full-service law firm will not only protect your legal rights, but help you get back on your feet and protect you against family law claims in the future. You can’t know all the challenges your family will face in the future, but our estate lawyers will make sure you have taken all reasonable steps to protect your family and your legacy. You’ve worked hard to enjoy the things you’ve earned: our law firm will help you minimize probate tax, plus avoid the worst of probate and power-of-attorney issues. Nobody wants to see their family fighting over an inheritance, whether it represents great monetary value, or powerful emotional value. We can give you peace of mind, founded on a solid and reliable will, whose clear instructions to your executors will ensure your wishes will be respected by future generations. Guarding your wishes doesn't start at your Last Will and Testament: through accident or infirmity, you freedom and dignity can face challenges while you are very much alive. First, we strongly suggest that you invest in creating a Power of Attorney for Property, ensuring that your financial affairs will be organized and operated in your interest if you’re no longer able. Secondly, a Power of Attorney for Health Care — what we used to call a “living will” — is a useful tool to protect yourself and your family. It will give you a means to enforce your wishes on how and where you wish to live, long after you have lost the ability to personally defend your interests. If you suffer this massive incapacitation, it will also save your family from the awful burden of making difficult end-of-life decisions for you. Once our estate lawyers have created your Power of Attorney for Health Care, you can be certain that you’ll be living according to your values to the end of your days.